The ABPA unveiled its organizational brand, mission, vison, values and the launching of its website www.anishnawbebusiness.com. The ABPA aims to stimulate and promote the growth of the First Nation business community in northern Ontario. The ABPA is accepting memberships for two classes; Anishnawbe Business Members and Associate Business Members from northeastern and northwestern Ontario and First Nations communities from Treaty #3, Treaty#5, Treaty #9, the Robinson Superior 1850 Treaty and Robinson Huron Treaty areas. With First Nation political organizations focused on analyzing the implications of public policy often reacting to partisan announcements, it leaves a void and need for support and advocacy for the First Nation business community. Jason Rasevych, a Ginoogaming First Nation citizen is appointed to serve as the President of the ABPA. He is no stranger to the challenges that First Nations’ economic development corporations and indigenous entrepreneurs face in the marketplace. “We need greater diversity and inclusion at all levels of the northern Ontario business environment. We must work together to tackle socio-economic barriers that lead to unemployment and financial hardships in our First Nations. The ABPA is here to provide a stronger voice for the First Nation business community and prioritize the need to address these systemic issues,” Rasevych said. Throughout Jason’s career he has broken through barriers by securing ownership and equity for First Nations in major projects. He has led in negotiating agreements between First Nations, government and industry proponents that includes preferred procurement programs and hiring policies targeting First Nations peoples. In 2018 he was recognized as one of Canada’s Top Economic Developers by CANDO (Council of Advancement of Native Development Officers) for his work in the North. The APBA highlights the importance of the Truth and Reconciliation Commission of Canada (TRC) and its calls upon the corporate sector in Canada to adopt the United Nations Declaration on the Rights of Indigenous Peoples as a reconciliation framework and to apply its principles, norms, and standards to corporate policy and core operational activities involving Indigenous peoples and their lands and resources. Rachael Paquette is a Mishkeegogamang First Nation citizen raised in Slate Falls First Nation and a local lawyer and partner at Cheadles LLP. She joins the board as the Vice-President bringing a high-level view on business and reconciliation. “I believe that companies operating in northern Ontario have an important role to play in developing programs as employers to promote the hiring of women, visible minorities or indigenous peoples,” stated Paquette. “Reconciliation is not only about access to jobs, it’s about equitable access to business opportunities including the opportunity to accumulate wealth. We must be particularly conscious of the needs of Anishnawbe entrepreneurs and Anishnawbe participation in entrepreneurship writ large. Through the ABPA we will facilitate investment opportunities for First Nation businesses with an awareness of corporate social responsibility of investors,” she stated. Jason Thompson, a Red Rock First Nation citizen and local entrepreneur joins the board of directors with the intention of guiding First Nation businesses. “We view our role as being the business ambassadors for the army of indigenous entrepreneurs that are setting up operations in the North. We’re forming a network from a diverse range of industries to collaborate, support and build capacity for First Nation businesses and promote cultural training to non-indigenous businesses. We will inform and guide industries where policies are needed and provide advice on partnership formation. There will be no excuses in procurement processes for a general contractor to say that they didn’t know a First Nation business existed, we will provide the Northern link,” Thompson added. Brian Davey, Moose Cree First Nation citizen brings a wealth of knowledge, as the executive director of NADF, an Aboriginal Financial Institution that provides grants, loans and support services to over 88 First Nations in northern Ontario. “Access to capital has been at the core one of the biggest barriers for business expansion in the North. 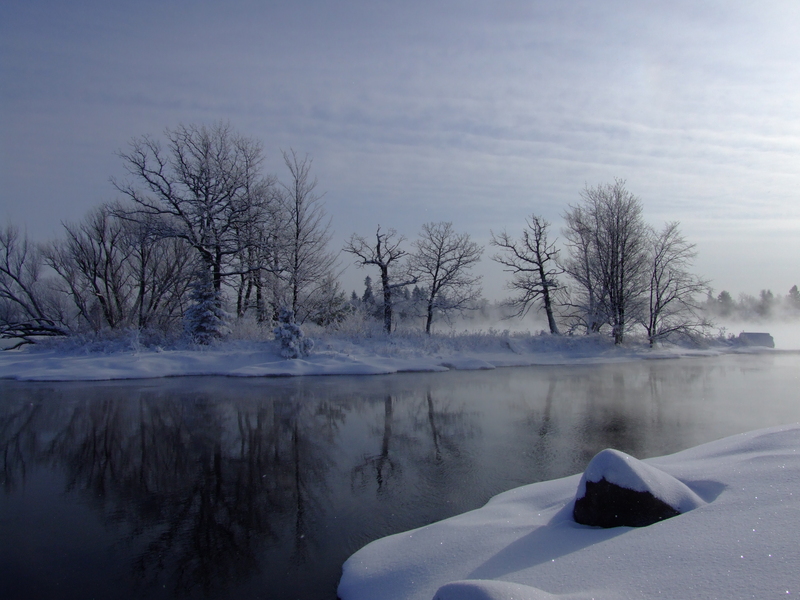 The northern Ontario First Nations’ enterprises continue to request capital that exceeds the NADF capacity. With the ABPA - we would like to assist our members to realize their potential through access to capital and market information to encourage First Nation business participation in northern Ontario,” Davey said. The next steps for the ABPA includes a membership drive, promotion of the business directory, hiring of key personnel and holding its first event this spring. The ABPA will also be seeking to collaborate with key partners and agencies that are involved in First Nation economic development. Several ABPA representatives will visit Toronto to attend the annual PDAC conference from March 3-6, 2019 to raise awareness and make a presentation during the Northern Ontario Mining Showcase. 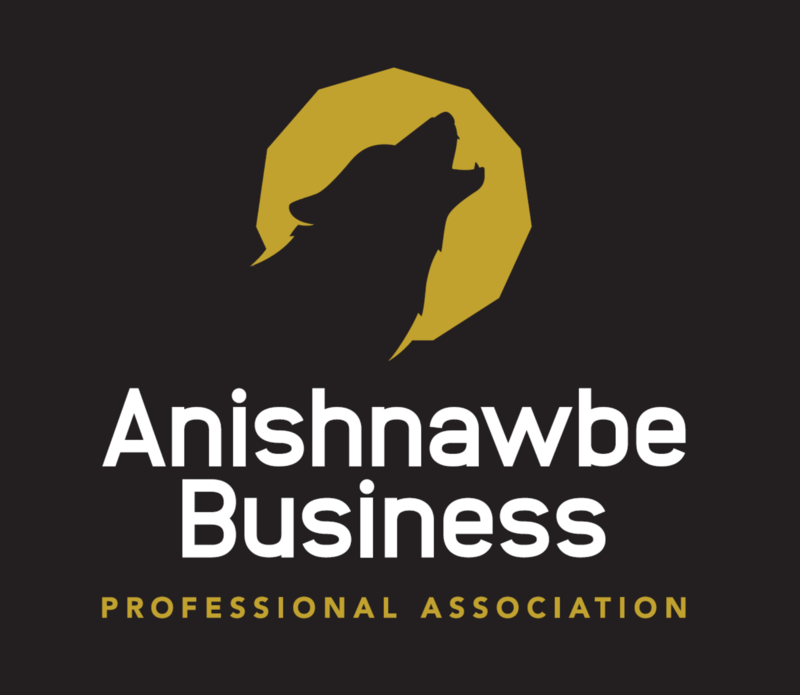 The Anishnawbe Business Professional Association is a non-profit, member-based organization with an office in Thunder Bay, Ontario. The ABPA serves the First Nation business community and express positions on business issues and other public issues relevant to First Nation business, on behalf of its members. The ABPA provides a forum for the First Nation business community to develop policies and programming which contribute to the socio-economic well-being and quality of life of First Nations peoples in Northern Ontario. The ABPA also serve non-First Nation businesses by providing information, guidance, and access to a wide-ranging network through events and sponsorship. 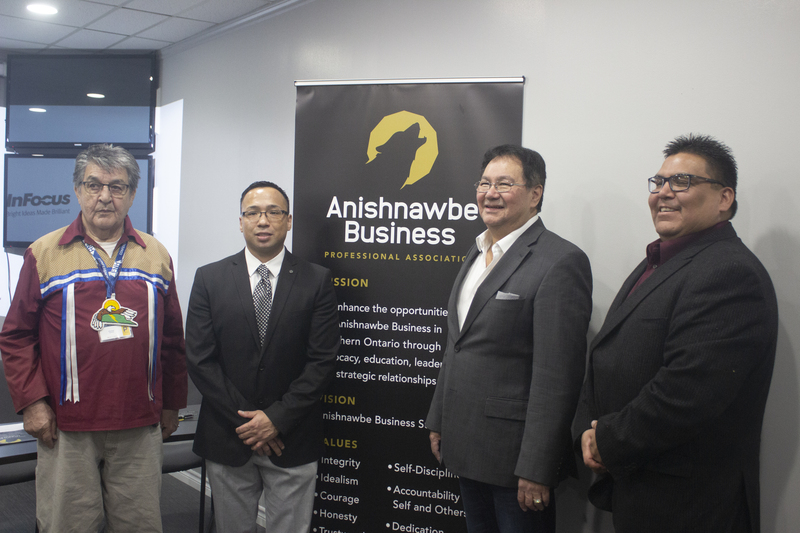 The Anishnawbe Business Professional Association logo and visual identity was designed to convey a strong message of an ‘awakening’ that is occurring in the Northern Ontario First Nation business community. 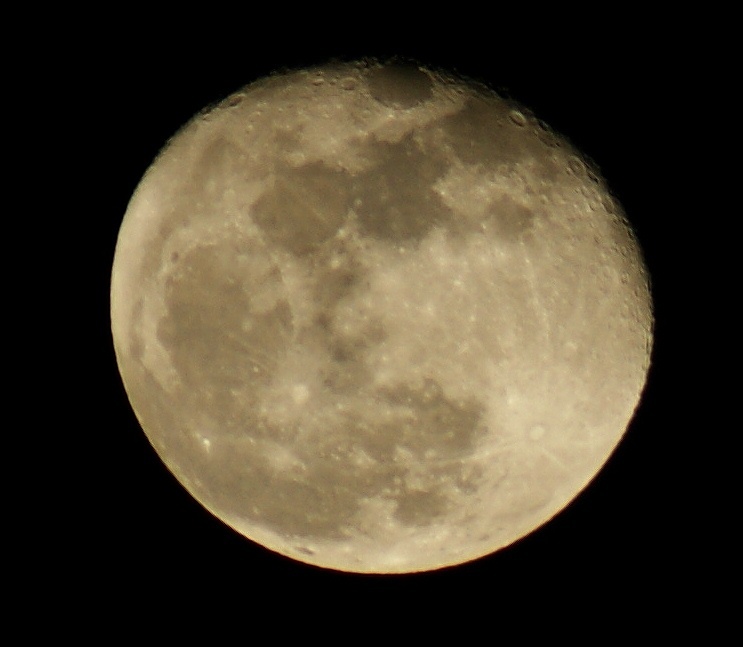 The “howling wolf” represents the strong voice of the First Nation business community behind the background of a moon shaped like the Canadian Dollar (Loonie) representing the currency of mainstream economy activity. The wolf is strategic, assertive and confident; so too is the ABPA which seeks, not only inclusion, but a formidable and transformative presence in the overall economy for Anishnawbe business.